Devin McCourty is the New England Patriot’s free safety player who has remained committed to the club since he was drafted in the first round of the 2010 NFL Draft. One remarkable thing about the No. 32 chap is not just his skills on the field, but also his striking resemblance with his identical twin brother Jason McCourty. He also doubles as a professional teammate at his current franchise, complementing themselves sometime in the same position of play. Devin’s career and achievements among many other things in the NFL especially at the Patriots are of notable mention. The Nyack-born athlete holds his head high alongside his twin brother as the first set of twins to play in Super Bowl together. Here, are the inside stories of this footballer including his Wife, Brother, Height, and Salary. Devin McCourty was born on the 13th day of August 1987, in Nyack, New York City, to Phyllis and Calvin McCourty. Three years after his birth, his father died of a heart attack emanating from asthmatic complications. He was then raised by his sacrificial mother who is a nurse, alongside his twin brother. He attended St. Joseph’s High School in Montvale where he played cornerback and free safety and was an all-league selection in his two final seasons. He remarkably recorded 50 tackles and intercepted 3 plays as a senior. 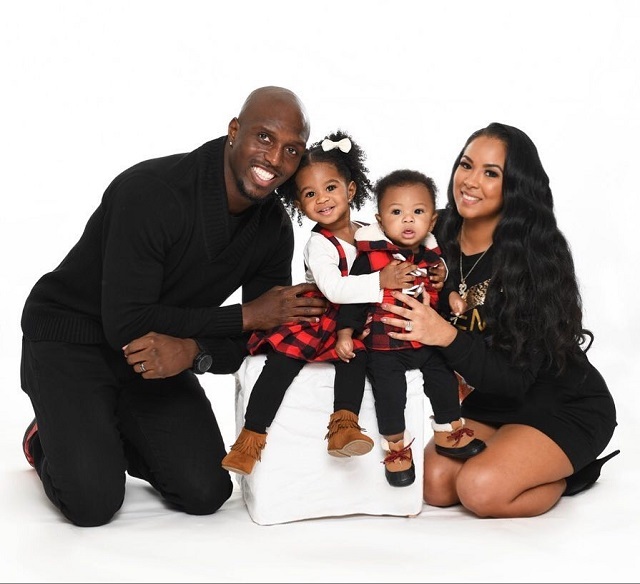 He and his twin brother put in their best in sports so as to earn scholarships to college and relieve their mother some financial burden, a decision that paid off as Devin McCourty attended Rutgers University on scholarship and played for the Rutgers Scarlet Knights football team. After he was redshirted in 2005, he started off well, as a freshman in 2006 playing 13 games racking up 38 tackles and 2 interceptions. He had a wonderful outing in College not only playing football but graduating with a degree in Sociology. Among other achievements, he was named an All-Big East Conference in his first two seasons as well as the All-Big East first team in 2009. Straight out of College very spirited and ready for the 2010 Draft, he was picked by the New England Patriots as No. 27th overall in the 1st round. Then on July 28, 2010, he officially inked a 5-year deal worth $10 million with $7.28 million guaranteed and a signing bonus of $1.50 million. His had a remarkable rookie season with the Patriots as he accumulated 82 combined tackles (69 solos), 17 career high pass deflections, another 7 career high interceptions, and 2 forced fumbles in all 16 games he featured in. Devin’s commitment to the team remained intact until he became an unrestricted free agent in 2015. Although his services were sought after by other top franchise like New York Giants, Philadelphia Eagles, and Jacksonville Jaguars, he however, remained with his draft franchise after they made him an offer. Luckily for him and the Patriots, he signed a mouthwatering 5-year contract in the tune of $ 47.5 million on March 9, 2015. The package also comes with $28.5 guaranteed sum and a signing bonus of $15 million. He has been holding the starting position in his team since then under the legendary coach Bill Belichick who has found him a worthy player. His career summary record with the Patriots so far, reads 714 combined tackles (553 solos), 80 pass deflections, 21 interceptions, a touchdown and 9 forced fumbles in 139 games and 139 starts. Additionally, with his 82 tackles combined with his twin’s 70 tackles, he got his Super Bowl title thrice; Super Bowl XLIX (February 1, 2015), Super Bowl LI (Feb 5, 2017) and Super Bowl LII (February 9, 2019). The No. 32 Starter for the Patriots has amassed tangible wealth in his football career so far. His enticing 5-year deal penned on March of 2015, has projected his his annual income upward from an estimated $7.5 million to $10 million. Thanks to this wealth, he is able to afford the life of luxe. He has exotic cars worth over $2 million in his garage and a luxurious house worth more than $3 million. As of this writing, his net worth is pegged at $28 million. Devin McCourty has a twin brother whose name is Jason McCourty and was born 27 minutes after him. They are not just identical, they also play football, attended the same high school and college. Although Devin has attained much height in football when compared to his younger brother, both are successful. Jason joined the Patriots and was part of the team that won Super Bowl LIII on February 3, 2019. They are quite identical and can hardly be differentiated. Like his brother Devin, Jason is also married with kids. The New York-born baller is a husband and a proud father of two kids. He is married to Michelle Zapata Powell, a Miami, Florida, based family physician. She was born on March 18, 1988, in Syosset, New Jersey to Jerome Powell and Carolina Powell. They lovebirds met as undergraduates at Rutgers University. When the chemistry became real and the love blossomed, they got engaged in 2015 and tied the knot in April of 2016. They have two kids; Londyn a daughter born on March 11, 2017, and a son Brayden Calvin birthed on April 29, 2018. McCourty is known to be religious and lives a faithful life of a Christian. Devin McCourty has a moderate height of 5 ft 10 (1.78 m) which is perfected with his weight of 88 kg (195 lbs). With those measurements, McCourty is well built and fit as an athletic man.